everything you can imagine – the choice is yours! but during the summer they are the partying center of this city. crowded quite easily. The majority of clubs offer regular bar tables, as well as VIP tables for bigger groups that offer more comfort and privacy. minutes past midnight: for every order you take, the club will send another one for free. Who would miss such a great offer? Thursday. It is called the Thirsty Thursday party, and the music you can listen to if you come to Club 94 this Thursday is electro house. over the rivers Sava and Danube. But in the evening, it turns into an amazing club with great atmosphere. Friday party, where you can listen and dance to RnB hits. join the fun and listen to live Serbian national music. bags and sunbeds. 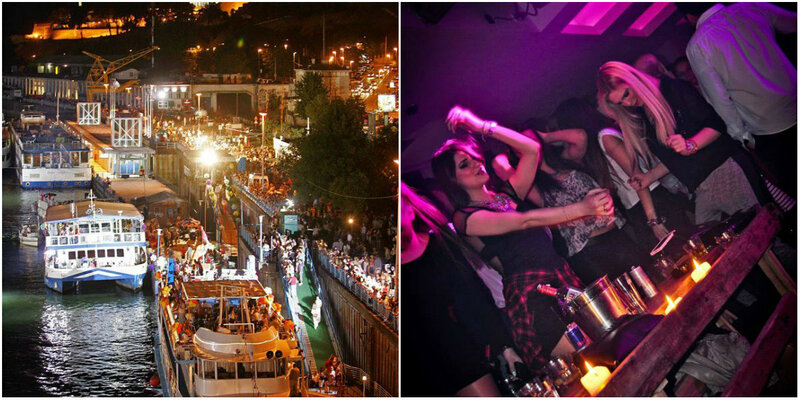 On the weekends you can listen to national music live here, and have a great time on the Belgrade sea.